Mucky Races are not for the faint hearted! Okay, our obstacle courses are designed to be challenging but most importantly, they're good fun and suitable for racers of all abilities and ages. You don't have to be a 6ft muscle god or supreme athlete to take part in our races! But if you are, your still welcome and will be leaving with a smile. 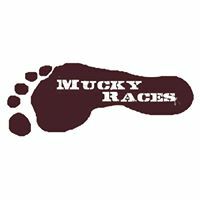 We don't know of any upcoming events for Mucky Races. You can check out our list of past events and reviews below, or if you know of an upcoming race, add it to our calendar!